Worth: 15% Group work In pairs. Final piece due at week 11 Exhibition. The objective of Project 3 is to introduce students to the SUBTRACTIVE 3D numeric fabrication processes, using a 3-axis CNC MILLING machine. In terms of design, the intention of the assignment is for each pair of students to produce a 1:1 piece of plaster tiles. Students are to design their tiles in Rhino, simulate the milling process, mill the negative mould from foam blocks, seal the foam using the vac form plastic, cast several tiles from the moulds, then assemble the tiles to create the final piece. 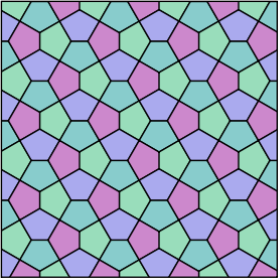 Select a tessellation pattern. 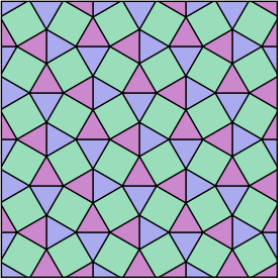 There are many, many different types, but we will be sticking to those that are of uniform tiling, and on a Euclidian plane. There is a good list of them here on wikipedia to get you started. Design both the 3d shape of your tile, as well as any additional etching patterns that you might want to have on it. Understanding how tooling paths can be used to create depth and detail in each tile is very important and will be covered in class. Simple tooling techniques – different methods of finishing (e.g. Parallel, Radial), plunge routing, using different sized tool bits, etc, can be used to good effect. 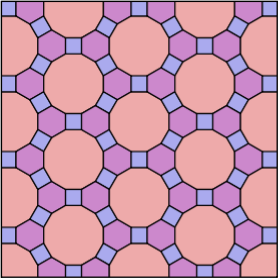 Size and number of tiles: Minimum size of each tile to be no smaller than approx. 70mm X 70mm. Maximum size of each tile to be no bigger than 300mm X300mm. This is a guide only and can be changed, but remember the tile needs to be big enough to be milled out by the CNC machine. You only need to mill out 1 mould for each different type of tile – e.g. 1 mould for a tessellation that only uses 1 shape, 2 moulds for 2 shapes, 3 moulds for 3 shapes. Take your foam moulds and vac form plastic over the top. Using plaster, cast as many tiles as you need from the plastic vac form moulds to fill the required area.